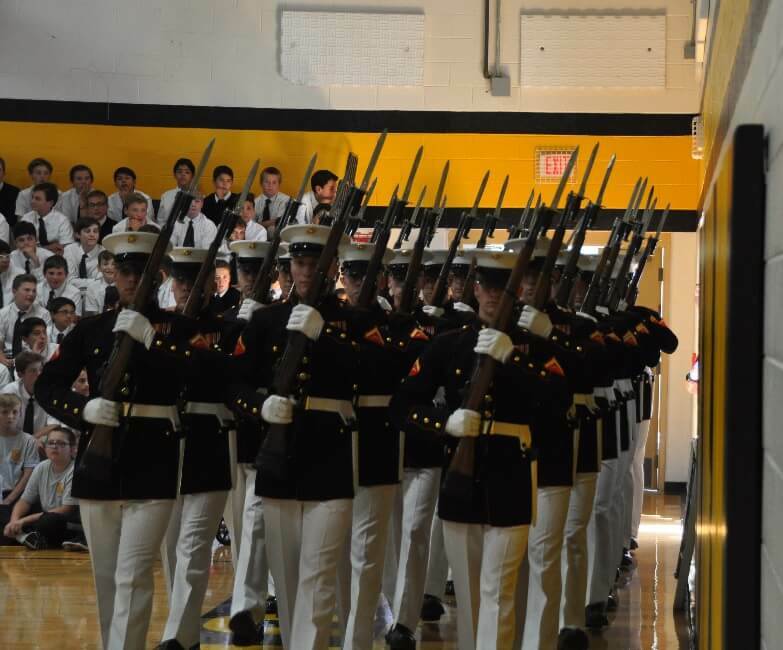 To mark the beginning of Marine Week in Detroit this week, students from Everest Collegiate High School and Academy learned a lesson about professionalism and discipline from the United States Marine Corps. 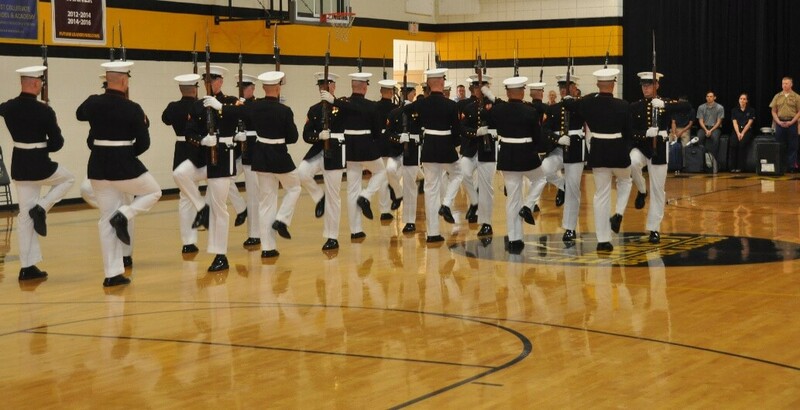 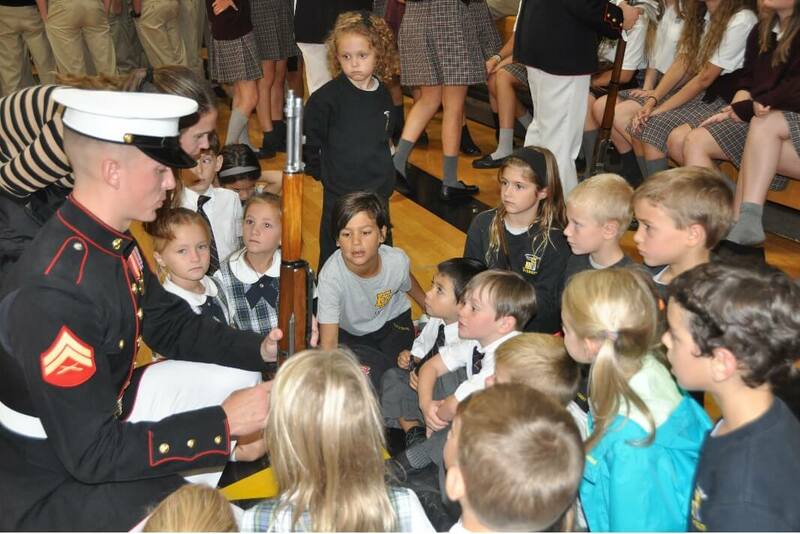 The Marine’s 24-man Silent Drill Platoon performed a unique, silent, precision exhibition drill, and then spent time among the students answering questions and giving information on the weaponry they use. 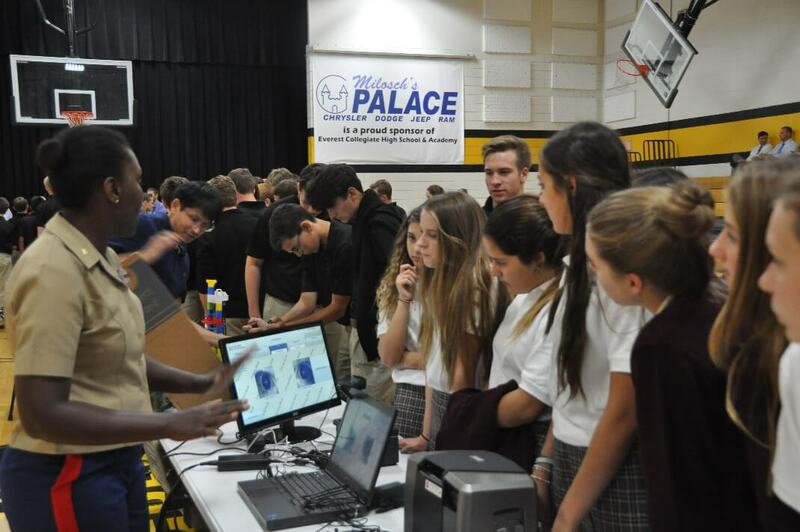 Prior to this all-school assembly, in an effort to promote better awareness of science, math, and technology applications, the high school students were treated to a STEM presentation showcasing sophisticated military technology from the Marine US System Command. 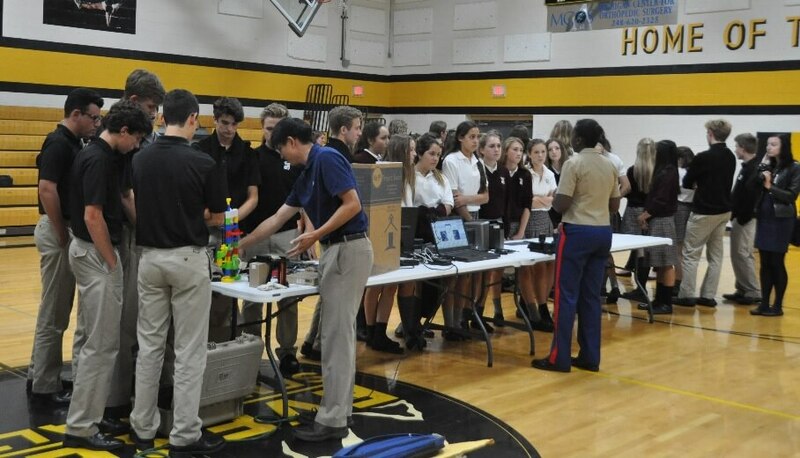 Students witnessed individual demonstrations and spoke with Marines about the technology on display as well as the preparation necessary to work in the technology field. 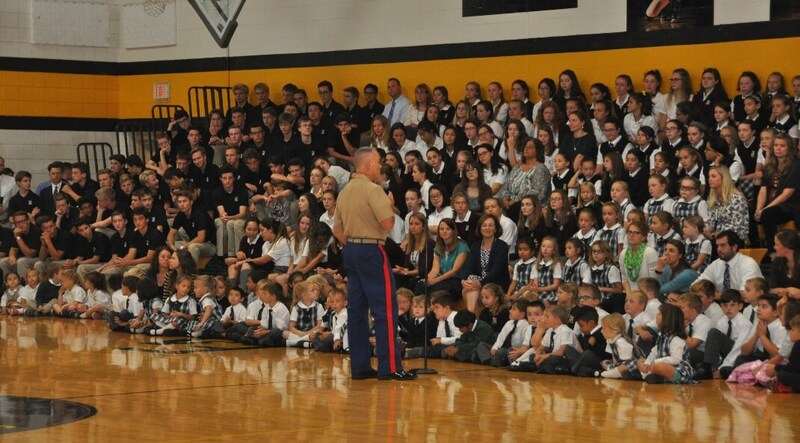 → Happy Birthday to Our Lady!